Never Read St. Ignatius of Antioch? Joe Fixes That! You've never read these fascinating and warmly-written letters of a bishop to suffering Christians? Want to read what the very first Christians believed? Want to be proud of being Catholic? How would you like someone to read his seven marvelous letters to YOU! You can listen to them in your car, on a walk, or in the park. Joe McClane has recorded the letters and you can download and listen to them for free by clicking on the image to the right or here. St. Ignatius was one of the first bishops in the Catholic Church, a disciple of Sts. Paul, John and Peter. He was eaten by lions for the Catholic faith. Download the letters and listen to them read clearly and with passion. Be proud of our Catholic heritage! Enjoy! 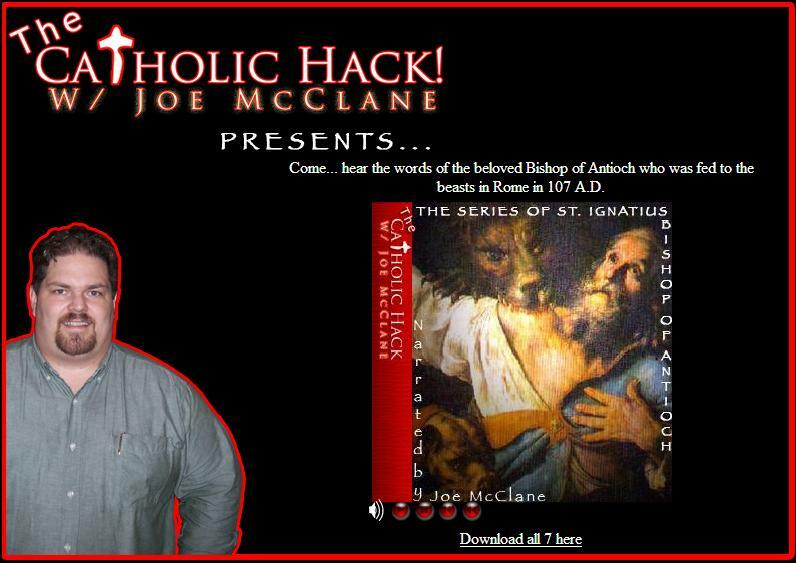 For more such helpful audio programs and files, visit www.CatholicHack.com.